NVM Paving & Concrete is a full-service paving contractor committed to the health and safety of your pavements even after the installation. We provide professional line striping services to ensure a long-lasting surface that is safe for your business’ visitors and guests and is compliant with all state and federal regulations. 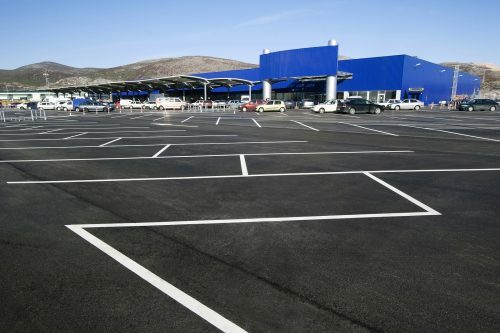 ✔ A professional parking lot striping job makes your surface attractive, organized and makes a great impression on your visitors, customers, and guests. 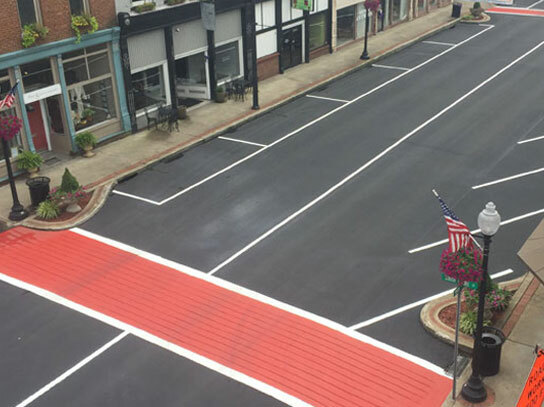 ✔ Striping is used to direct traffic in a way that is safe and prevents vulnerable areas of your pavement from sustaining more wear. ✔ Commercial parking lots must comply with state and federal regulations in regards to safety and accessibility, or you could face costly fines and lawsuits. You’ve invested a significant amount of money in your pavements. Like any investment, we want to achieve the highest returns possible. With a parking lot that is engineered to provide a safe and functional space as well as showing the pride you take in your business, you will make the most out of that investment. 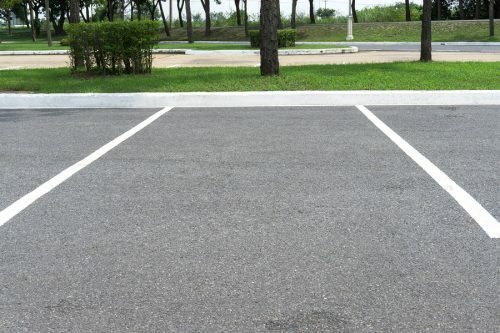 If you have a new parking lot installed, our parking lot designers will put the finishing touches on your surface with custom designs that will serve your business. By carefully considering the amount and type of traffic, how to angle your spaces for maximum volume and efficiency and intimate knowledge of state and federal regulations, any new lot we design is guaranteed to offer superior usability. NVM offers expert parking lot striping services for commercial properties and other pavements. When you need to ensure that your pavements are safe, compliant with local and federal regulations, and designed for to protect your pavements, just give us a call. 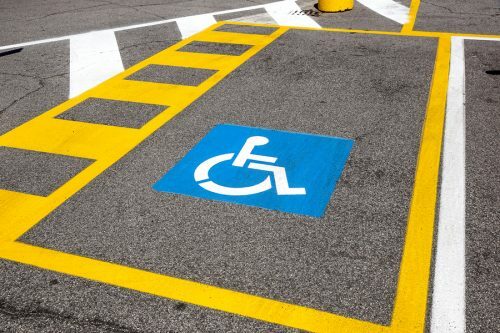 Since the Americans with Disabilities Act was signed into law decades ago, property owners must comply with its regulations regarding accessible pavements. You must have a certain number of handicapped spaces per 1,000 sq ft of your lot. These spaces must be clearly marked. Most municipalities will not issue a operating permit unless your new parking lot is ADA compliant. By using signage and other parking lot accessories, we can ensure that your lot provides the best experience possible for its users. A well-designed lot is pointless if it doesn’t communicate with drivers and give them a safe and smooth experience. Restriping your parking lot is an affordable way to increase the service life of your pavement, improve its functionality, and give it a brand-new look. Our expert designers can redirect traffic to minimize damage to weakened areas and prevent more costly repairs down the road. We can also come up with a plan to increase occupancy or efficiency to provide you with a safer and more functional parking lot. No parking lot is too big or too small for our experts. If you are ready to design or redesign your pavement to achieve the best results possible and protect your initial investment, just give us a call. We will provide you with a no-cost, no-obligation quote and help you design a space that serves your business and its occupants expertly.